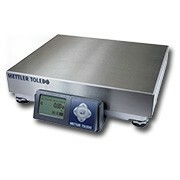 The Mettler Toledo BC-60 scale is the ideal choice for PC-Based ShipRite shipping systems. USB interface, Stainless Steel Platter, Legal for Trade. Capacity: 150 lb x 0.05 lb.